Treating your guests like royalty is simple with these chargers. The gold trim makes a regal statement and complements all event themes. 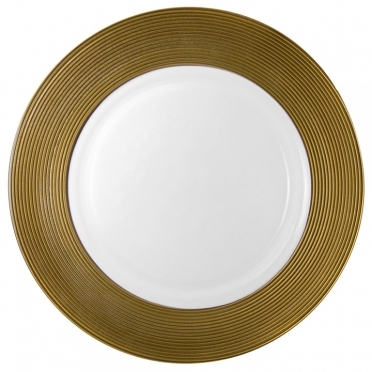 No matter if you need bases for your dinner plates or bowls, these items will add a stylish look to your tables. There is no richer way to frame your dinnerware than with these charger plates.